Watching your weight and/or trying to avoid sweets? 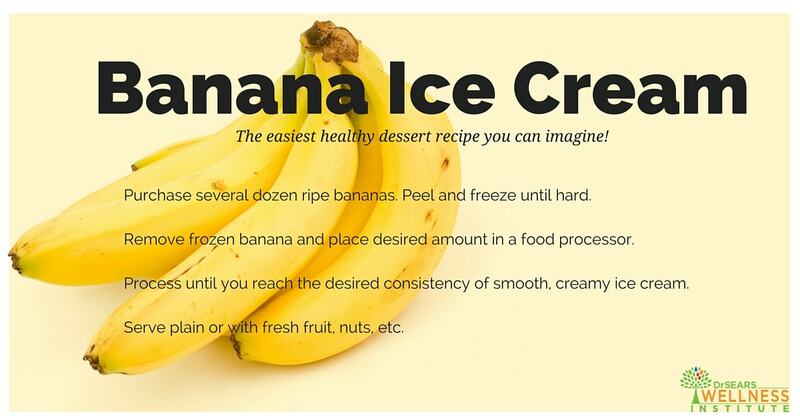 Here is a simple, delicious healthy banana ice cream recipe that even the most health conscious individual will love! Plus, it’s cheap and very easy to make. All you will need are bananas and a food processor. Yes, that’s right. Just one ingredient. Purchase several dozen ripe bananas, peel and freeze until hard. Remove frozen banana and place desired amount in a food processor. Process until you reach the desired consistency of smooth, creamy ice cream. Serve plain or with fresh fruit, nuts, etc. Try it for an after school or late night snack and let us know what you think!